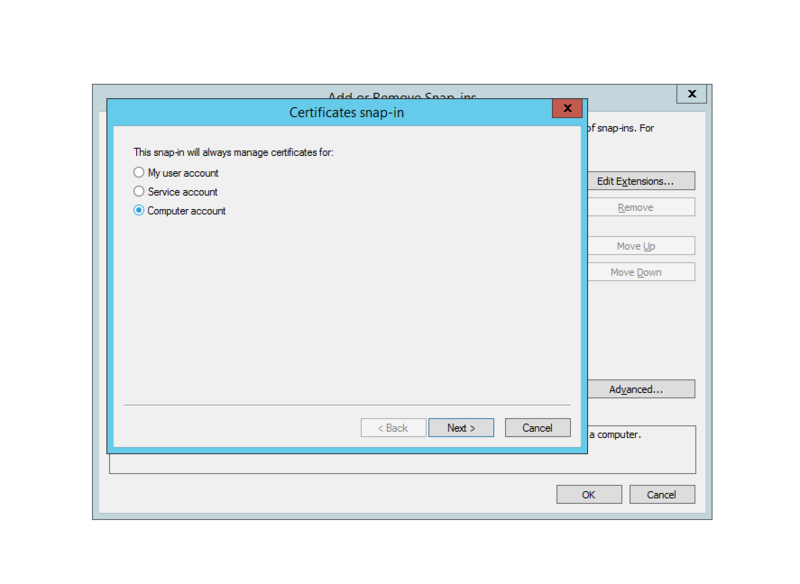 Knowledge Base - Failed to Sign Package! 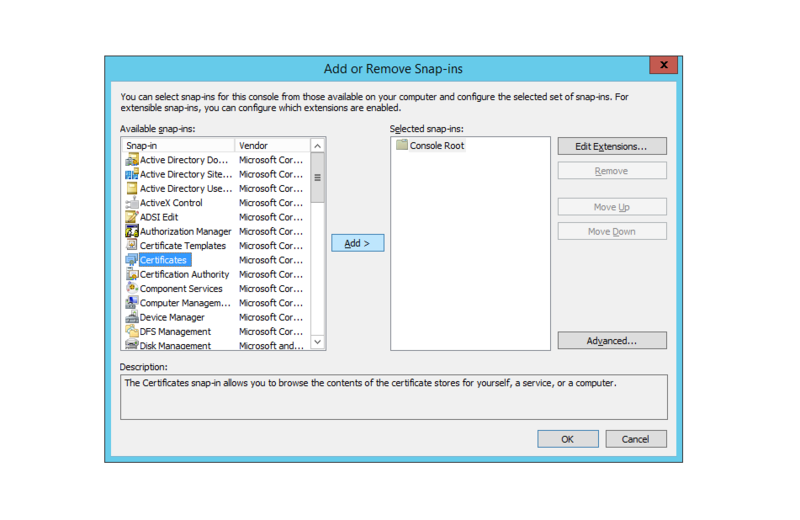 You are trying to publish third party patches using Patch Connect Plus and you get an error "Failed to Sign Package". 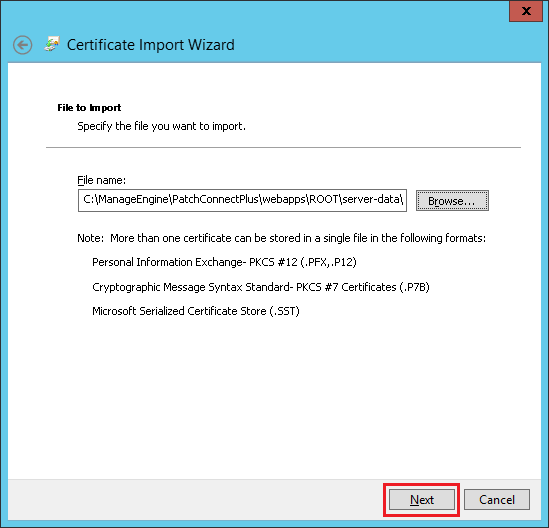 Ensure that you either import a third party certificate or create a self-signed certificate. 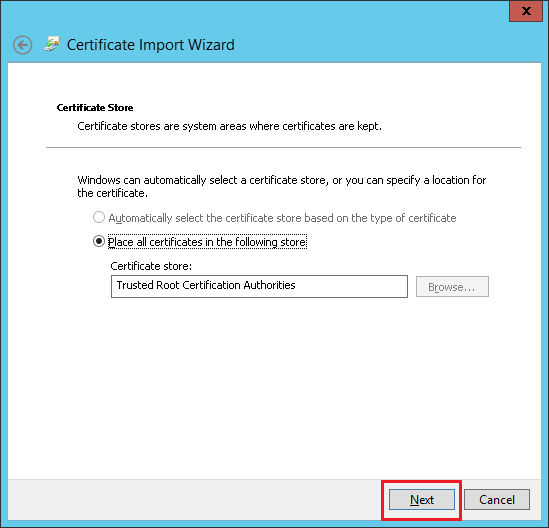 Import the signing certificate to "Trusted Publishers" and "Trusted Root Certification Authorities" Stores in machines where Patch Connect Plus and WSUS are installed. 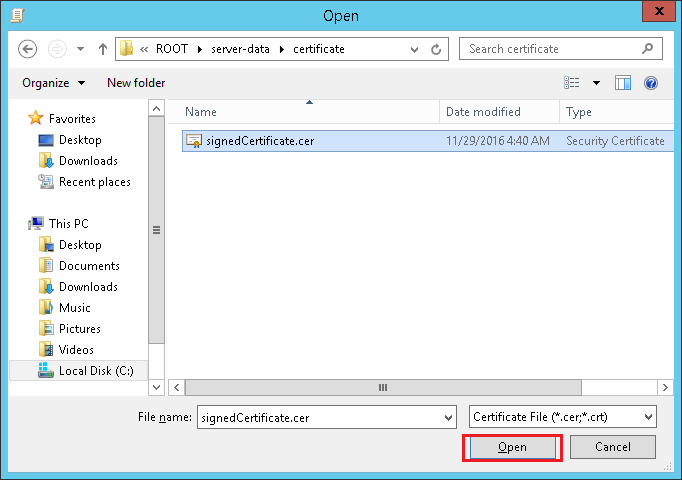 If the certificate is not a root certificate, then you should ensure that you have uploaded all the intermediate certificates to avoid chain validation issue. 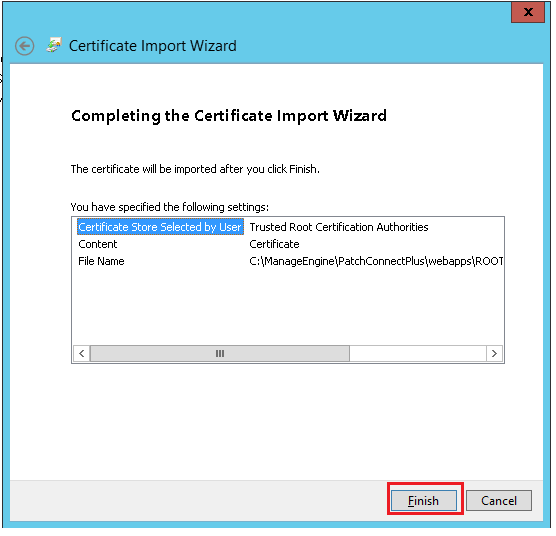 Certificate import wizard will be opened. Click Next. 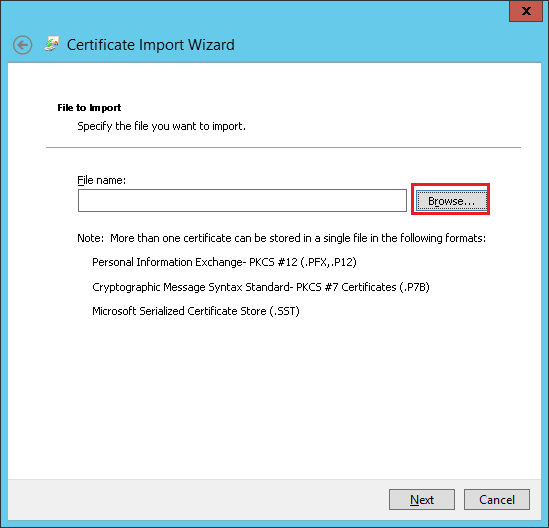 Specify the location where the certificate has been saved. 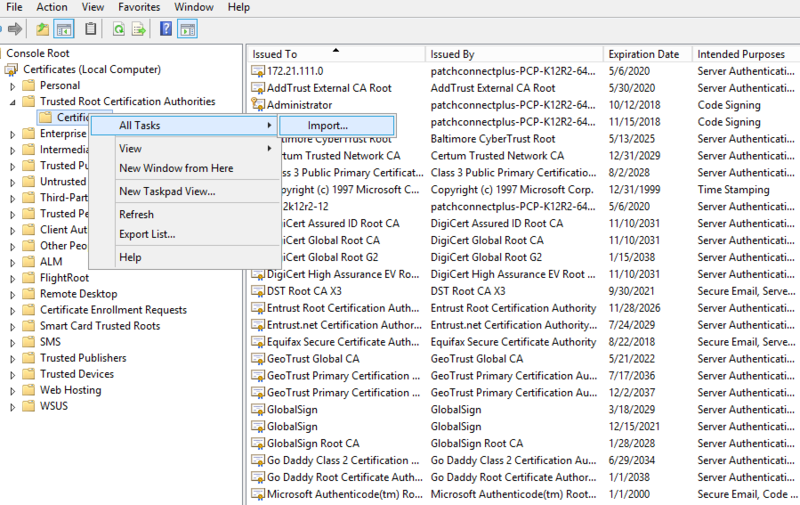 The certificate file will be saved at <PatchConnectPlus dir>\webapps\ROOT\server-data\certificate\signedCertificate.cer. 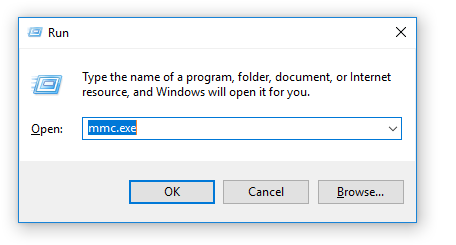 After selecting the file click Next. Review the import store location and Click Next. 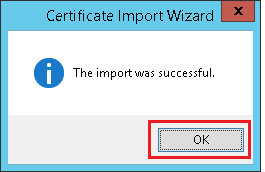 Certficate has been successfully imported. Click OK. 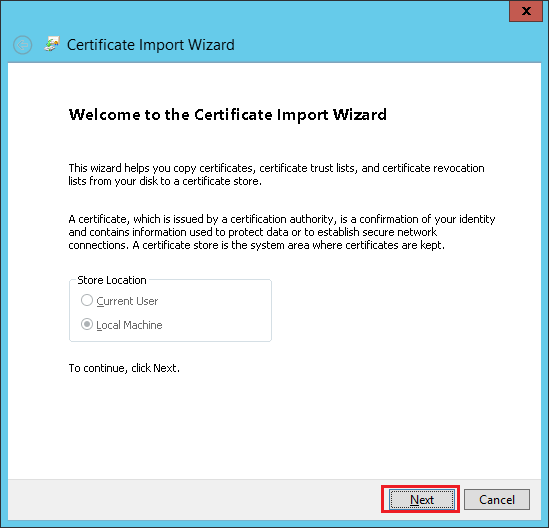 Note: Similarly ensure that you import the signing certificate to Trusted Publishers certificate store by following the steps given above.